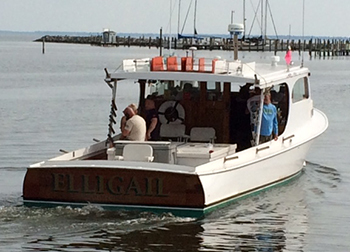 Come spend the day aboard the ELLIGAIL. She is a classic Chesapeake Bay deadrise, 46’ long with twin diesels and the latest in electronics and room to relax. We offer Fishing Charters, Sunset and Dinner Cruises, and cruises to local destinations. Bring your camera and snacks and we’ll provide the memories.